Beresheet (In the Beginning) is the first portion in the Torah (Pentateuch). It tells the story of the creation of the world in six days, and the rest on the seventh day. It talks about the creation of the man, his arrival at the Garden of Eden, and the creation of the woman. The portion also narrates the story of the sin of the tree of knowledge, Cain and Abel, the generations from Cain to Lamech, the ten generations from Adam to Noah, the corruption that engulfed their generations, and the renewed hope that emerged with the birth of Noah. 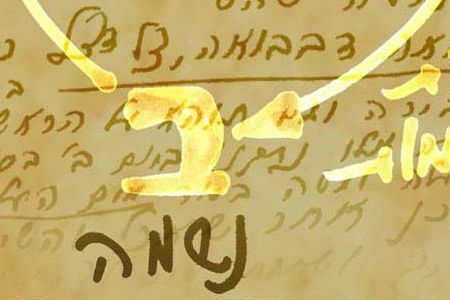 Beresheet contains more stories than any other portion in the Torah. In many ways it is also the deepest of the portions, as it discusses the basis of our being—the creation of the soul. The common soul was created out of the will to receive delight and pleasure, or simply, “the will to receive.” That will is the soul’s core, and it’s affected by six qualities: Hesed, Gevura, Tifferet, Netzah, Hod, and Yesod. These qualities penetrated the substance—the will to receive—and designed it in synchrony with the upper force, the Creator. The reason why man is called Adam is that the word Adam comes from the word Adamah, from the verse, Adameh la Elyon (“I will be like the most high,” Isaiah, 14:14), since he is similar to the Creator, the sublime bestowal, sublime love, to that upper force that gave birth to it. Adam is the structure of the soul that is equal in form to the Creator and is in Dvekut [adhesion] with Him in the Garden of Eden. A garden means “desire.” The garden is the part of the creature, Adam’s substance—the will to receive. Eden marks the degree of bestowal, degree of Bina. Adam, who is on the degree of Bina, is in the Garden of Eden. This does not pertain to our world or to the universe we know, but rather to the common soul that the Creator created. From the very beginning, the common soul undergoes a special preparation, the sin, because at its inception it was adhered to the upper force, which means that it had no authority of its own, nothing to its name, or any sense of independent existence. In a sense it is like an embryo in its mother’s womb—on the one hand it exists, on the other hand it is part of its mother, and each of its actions is ruled by its superior. Such is the structure of the soul. While it is in the Garden of Eden, the place itself does not permit independence. Independence means that a person is beyond someone’s control, a state of being ready to assume self-control. The structure of the soul is the creature, the created being. The word Nivrah (creature) comes from the word Bar (outside). In order to allow the structure of the soul to actually become a creature, it must be taken out, removed from the Creator. Put differently, it must be made opposite from the Creator, and this oppositeness is obtained through the sin. The Kli (vessel) of the soul that receives light not for the sake of the Creator shatters into pieces—bits of self-centered desires. Each such desire is an individual soul that becomes enveloped in a wrapping that is similar to a Klipa (shell/peel). During the formation process of the broken souls, additional falls and descents occur along the spiritual degrees to the point where we are here in this world, each of us having a part of the single, common soul that was created. It is precisely because we are detached from one another by our egos, immersed in the will to receive instead of in the will to bestow, that we now have an opportunity to correct. Because in the past we were already corrected, today we can begin to correct the ruin and sin that took place in the past. Although we aren’t the ones who committed the sin, within us, in our souls, is a preparation for a state that enables us to carry out the correction. This correction is called “repentance,” constituting a return to precisely the state in which we were in the Garden of Eden. We must hurry and achieve that state because the whole world is already moving toward connection. This process that the world is going through is moving us toward unity, connection, and the perception of ourselves as a single soul. Thus, when we are all in bestowal and mutual love, we will succeed in returning to the structure, the state we maintained prior to the sin.